Our principal, David Harlock, offers specialist tax advice to companies and employees operating bonus and similar schemes; and to partners and employees facing termination of their contracts. We have, in a number of instances, persuaded Revenue that payments made to partners who have been axed are exempt from tax in the hands of the partner and deductible in the hands of the partnership. We have some innovative ideas for tax savings for employees and their employers operating under profit related pay, bonus, enhanced redundancy and similar schemes. These ideas may be particularly beneficial for companies and executives involved in mergers and takeovers. We have successfully deployed a number of arguments upon termination or transfer of employment to enhance the tax savings for employees and employers. These arguments have also been used to secure tax savings on payments in excess of the £30,000 "Golden Handshake" exemption so will be particularly relevant in the case of high earning executives. We should be delighted to hear from anyone, firm or company, which feels they could benefit from these ideas. 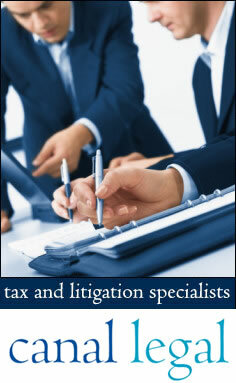 David has also advised on appeals to the Tax commissioners and to the High Court. He acted on one of the leading cases concerning the time limits for bringing appeals. David has considerable experience in both corporate and individual insolvency. This includes advising in the Maxwell, Polly Peck and BCCI collapses and recovering assets in excess of £1m and £2m which had been concealed by bankrupts from their creditors. David has advised on boardroom and shareholder disputes for public companies (including companies listed on the LSE and AIM) and private companies. Cases have included a dispute on the take over of a premiership football club; claims by listed companies for misfeasance and misconduct by current and former directors; and disputes for board control of successful private companies. David has acted for a listed company on its challenge of decisions of the Mergers and Monopolies Commission and the Secretary of State for Trade and Industry; for a Police Authority on a challenge to its power to fund the costs of defending police officers facing major charges; and on a variety of cases involving secondary and tertiary education. David's experience in property disputes includes general commercial landlord and tenant issues (eg the right to renew business tenancy, rights to terminate leases for breach of covenant, claims by landlords for dilapidations), the enforcement and waiver of restrictive covenants and disputes on sale of land and rights of way. His cases include acting for a national construction company in proceedings to enforce the sale of a major industrial estate; successfully opposing claims by tenants for renewal of business tenancies; advising an airport authority on their right to eject occupants of industrial and office space; advising tenants of major PLCs on their rights to compensation following termination of tenancies and for breaches of the landlord obligations. Many cases in which David has acted have given rise to issues under the new legislation affecting human rights. These rights have been enforced for the benefit of individuals and companies, too, showing that corporations can be human, too! David has also advised on issues under the Data Protection Act and the new rights of employees to disclose information on their employers ie "whistleblowing".